We all know laughter makes you feel happy, but can it actually help soothe aching, chronic pains, too? Research, presented by a group of Swiss researchers at The European Pain Federation Congress, finds that laughter may ease the pain for chronic sufferers. Researchers believe that laughing can actually help a person tolerate their chronic pain better, and also improve daily living. 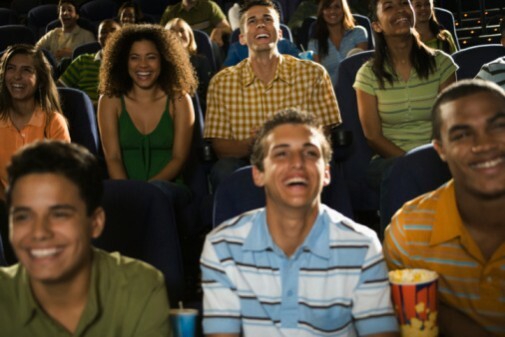 In the study, researchers had people view a comedy movie while keeping their hands in ice cold water. They found that those who were laughing had a higher tolerance for the cold. They also found that the acceptance for pain continued even 20 minutes after laughter subsided. Those that were not laughing could not bear the pain and did not see the same effects. Researchers believe that this could be because humor triggers endorphins, which also relaxes the muscles. Lead researcher, Thomas Benz, believes that laughing should be included as part of a pain rehabilitation programs. He added though that phony smiles and forced laughing will not help the tolerance of pain, as it must be real laughter and happiness. Click here to take an inside look at a type of yoga that is all about laughing while easing the mind and helping people to be healthy, happy and stress-free. LOL-love to laugh and the endorphins that come with it…. I totally buy this. My husband and nurses kept me laughing while I was in labor with our second baby until the anesthesiologist arrived with my epidural. Don’t get me wrong, it was painful, but I know the laughing helped get me through each contraction. Every day it’s important to have a good laugh. Maybe even a few.